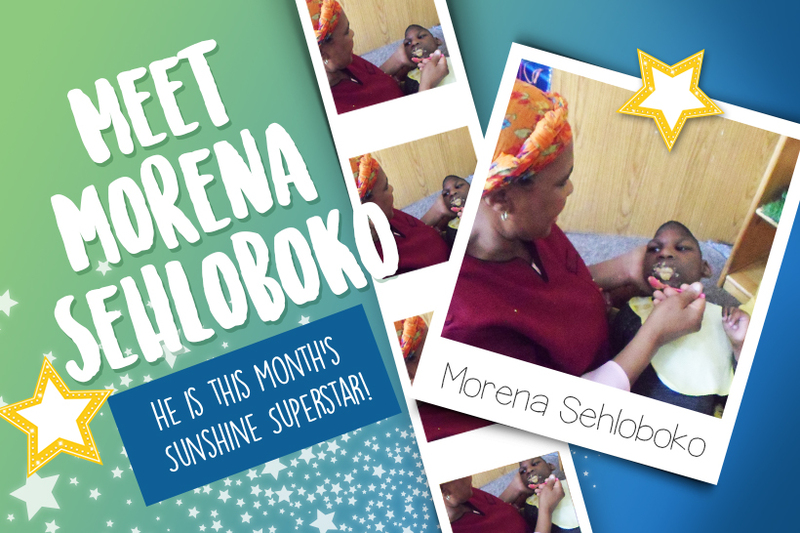 Morena Sehloboko is our Sunshine Superstar of the month. His is a tale of triumph – and we are so proud of him! Morena Sehloboko is 6 years old and has severe Cerebral Palsy. Morena is in stimulation one (Bambi) class. He started in our programme on the 5th September 2012. When Morena started with us, it was a challenge to feed him as he always cried, his body was very stiff and his swallowing was very poor. Every morning after ring time Morena is massaged with arnica oil to alleviate muscle stiffness. Slowly but surely his body movements and feeding are improving, and we are hopeful, he will continue to improve as time goes by. Our incredible staff and children continue to inspire us. We welcome your calls and queries – let us help your child become a Sunshine Superstar.